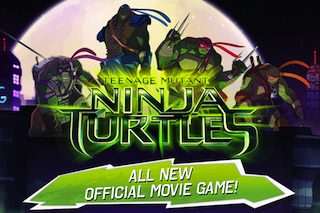 To celebrate the launch of the new TMNT mobile game, I am giving away five download codes redeemable on iOS! All you have to do to win is share this post (publicly!) on Facebook or Twitter, then send me an email showing me that you've done so. On Friday I will choose five winners at random from all eligible entries. Good luck! New TMNT Movie "Motion Posters"